The Central Government lead by Shri Narendra Modi has become quite famous for launching a number of social welfare schemes throughout the country within a short span of time. While we have already discussed about each of them separately in our various articles, we would focus on top famous schemes that Narendra Modi government has launched so far. Digital India Program was launched in August 2014 to change the face of India digitally and electronically. This would in turn pave way for a digitally empowered nation and economy. As per this campaign, all offices and departments of Government of India would be digitally connected to each other and to the target population, thereby making the government mechanism smoother and malpractices-free. This would also ensure effective governance in the country. Digital India Program would reduce paperwork to a significant level. The program which started in 2014 would complete by 2019. On his first speech of Independence Day in year 2014, Prime Minister Narendra Modi announced the famous Pradhan Mantri Jan Dhan Yojana, which ensures a bank account for every Indian. In this mass drive, more than 15 million saving accounts were opened across the length and breadth of the country with almost all public sector banks participating in it. It was the first ever financial inclusion program launched in the country and has seen success so far. More than Rs 1,500 has been deposited in banks so far by the account holders. This type of campaign was not really new to India, however the name and intent may be new. Previous governments have already worked on similar campaigns like Nirmal Bharat Program. However, nothing has been achieved significantly so far and thus the Swachh Bharat Abhiyan comes with a new hope to clean the country’s mess. The campaign was launched in 2014 with almost every big and small personality of the country taking to the streets and taking part in it. In fact, the cleanliness drive has more to do with self publicity, whether it is the Prime Minister himself, or other ministers, or film stars or the general public. All have taken pictures of cleaning their locality and posted it on their social media account to ensure that people see that they are involved with a noble cause. The evaluation of the campaign has to be seen in a longer run. This was more of a slogan than a campaign coined by the Prime Minister Narendra Modi to ensure self sufficiency in the field of mass production. The vision has been to attract global investors to invest in domestic market and thus create India a manufacturing hub for the entire world. Make in India would also ensure that there are sufficient job opportunities for the national youth who are struggling to get a decent job in order to compete with their international counterparts. The Make in India campaign is being run and administered by the Central Government and the government has identified a total of 25 different sectors on which it would focus. Inclusive governance is one of the core visions of Shri Narendra Modi. As per Saansad Adarsh Gram Yojana, each MP would take out some part of their funds for the development of their constituencies. Physical and institutional infrastructures are some of the way through which the villages of the country can reach up to their empowerment, as a whole. The Saansad Adarsh Gram Yojana ensures the same. The campaign which started in year 2014 is said to be successfully concluding by year 2019. The guidelines for rural development under the scheme have already been issued by the honorable prime minister in October 2014. Low cost benefits have been the core guiding principles of the Narendra Modi lead Central Government in almost all the schemes they are launching. Atal Pension Yojana too is one such scheme, which ensures old age pension to those who are not covered under any other pension or social security scheme. This way, those people who have been working in unorganized sectors and enjoying no pension scheme would be covered and can ensure a healthy and comfortable old age. The PMJJBY is a term life insurance policy that goes a long way in ensuring a safe financial future for the policy holder and comes with lowest cost on a yearly basis. Anyone who is within the age group of 18 years to 50 years can get enrolled for PMJJBY, provided they have a functional saving bank account. Within the scheme, the policy holder would have to pay as a premium is Rs 330 per year and they would be covered with a life insurance of Rs 2 lakhs. Pradhan Mantri Suraksha Bima Yojana targets social security through insuring accidental deaths and partial or permanent disabilities. A large number of population in India live in rural areas and these people do not have access to insurance schemes. PMSBY is an initiative to cater to such a population so that they can enjoy the insurance benefits at minimum contributions. In order to get PMSBY scheme for anyone in India, the subscriber is required to just pay Rs 12 per year and enjoy a carefree insured life of up to Rs 2 lakhs insurance cover. One of the best things about these social security schemes is that they require an insignificant level of paperwork and this leverage has been provided considering the fact that a large number of people living in rural areas do not have all the validation documents available with them. India is primarily an agricultural country and irrigation defines the success of agriculture. This is why it is important for any agricultural economy to have a proper irrigation channel throughout the country. Prime Minister Modi has identified this need and thus started this new scheme. As per the scheme details, just 45 per cent of the farm lands in India are accessible to the irrigation channels with remaining 55 per cent depending on traditional methods of irrigation. This is a huge opportunity and the Pradhan Mantri Krishi Sinchai Yojana would ensure that adequate infrastructural arrangements are made so that maximum fields in the country are connected to the irrigation system properly. Pradhan Mantri Kaushal Vikas Yojana would facilitate necessary arrangements so that the younger lot of workforce in India is provided with world class training as far as technical expertise is concerned. The skills training would be in line with latest technologies coupled with personality development and management skills that would ensure that our youth compete well with their international counterparts. This is yet another aggressive scheme launched by the Narendra Modi government. MUDRA stands for Micro Units Development and Refinance Agency Ltd., which was initiated to bring into the general public into the normal banking system. Facilities and benefits like credits, loans, and insurance are not reachable to many in India, especially to those living in rural and far flung areas. MUDRA bank is not exactly a bank but a banking regulator which would regulate the micro finance to the rural and needy population. Under this scheme, the government would run several micro campaigns to ensure that that the welfare needs of the poor population are met and taken care of. It would conduct workshops to meet its agendas. Sukanya Samriddhi Yojana is one of the most promising and relevant schemes launched by the Narendra Modi Government. SSY lays special emphasis on financial empowerment of the girl child. Through this scheme, the parents of any girl child below 10 years can open a saving account for their daughters and operate it till they attain an age of 21 years. After that time, they can withdraw the money and use it for her marriage or higher education. The scheme offers a high rate of return, even much higher than PPF and the depositor gets complete tax exemption for whatever amount invested under 80C of income tax. Ever since the scheme has been launched, lakhs or parents have already got an account opened for their daughters and enjoying the benefits. Read more about this yojana. Just like you have a locker to secure your valuable belongings, Digilocker is a facility through which you can secure and keep your valuable documents secure. Now, when everything has turned out to be digital, online documents are required in order to submit forms and other activities. Digilocker is a space provided by Government of India where you can upload all your important documents in digital format and use them whenever you have to furnish it anywhere to government authorities. This drive has paved way for paperless environment and would also curtain the possibilities of corruption to the significant level. eBasta Scheme is very much similar to the concept of DigiLockers. eBasta provides an online learning space for the students in the form of digital books. With this service, students would no more have to go and buy their books from the book shops and neither would publishers need to worry about pirated versions or supply channel flaws. The content and curriculum of the students can be decided by the school and its teachers and students will have to just login and download their study material, which they can use for learning at their computers and tablets. This kind of initiative would initiate the era of interactive learning in India. The Clean My Coach scheme entails working to make all coaches and trains around India sanitary. It entails the addition of dustbins in AC and non-AC cars among other items. This was launched to help with improving upon how well people can enjoy traveling along the railways around the country. The Aadhaar Bill has especially been important in recent time as it works to catalog all people. This is designed to assign a proper identification number to each person in the country. It is to identify people who are looking to attain different benefits from the government and to improve upon how such benefits are used. A Real Estate Bill was established in 2016 to protect buyers who are aiming to get new properties. This is to help people get new properties and to invest in real estate. All buyers will be supported as they will be protected from fraud and other questionable acts. This is to help with getting more out of the process of acquiring a home. The Unnat Bharat Abhiyan was launched in the later part of 2014. The goal is to help with getting more research establishments up and running. This includes training services that entail managing all sorts of higher education plans. The goal is to assist rural areas of the country in getting access to the educational services that people may be interested in. The TB Mission 2020 scheme is used to help with controlling tuberculosis with the goal of making the country free of this condition by 2020. This includes testing and sanitation services to help people avoid this dangerous condition. The health department is aiming to increase awareness of TB and the dangers that accompany this condition. Launched in 2014, this scheme helps girls with getting the education that they deserve. It is a conditional money transfer system that provides girls with monetary benefits for completing their educational tasks. The scheme is especially designed to help family members with investing in the scheme and getting more out of the process. This is to help with preventing child marriage as it encourages a better overall life for all girls in the country. This is one of the newest schemes in that it was launched in January. It helps employers and apprentices alike by repaying 25 percent of the granted amount that an apprentice is to earn. It gives employers added help with getting their apprentices paid properly. The government will pay a total of Rs. 7,500 for three months to any person who qualifies to get into the program. The Gangajal Delivery Scheme will help with getting water delivered to more rural areas. It starts in Bihar and will get water from the Ganga River into more houses around Patna at the start of the program. The postal department will help with getting the program organized properly so more people will get the water that they need for their daily lives. The Pradhan Mantri Surakshit Matritva Abhiyan provides pregnant women with health care as necessary. Vaccinations, tests and other services for pregnant women are covered to help them with giving birth to healthy children. The vaccinations offered help to control many conditions like measles and rubella, two conditions that can especially be dangerous to pregnant women and their children. The Vidyanjali Yojana was designed to help encourage added employment in government-operated schools. Part of this entails helping people to become teachers and to offer programs to children in a variety of critical subjects. Training is being provided in this scheme to help with making it easier for educational plans to be organized properly. Banks can provide individuals with grants. These are for those in the OBT, ST and SC fields. Women are especially encouraged to take advantage of the scheme. Loans are available from Rs. 10 lakh to Rs. 1 crore. The totals are used to help businesses with getting started up properly. Interest rates are also typically lower than the national average on all of these loans. The Gram Uday Se Bharat Uday Abhiyan is designed to improve upon living conditions in rural parts of India. This includes help for managing administrative sections and getting local governments established. The overall goal is to increase the stability in different parts of the country to keep governmental functions easier to manage. Disabled people will receive added mobility devices through the Samajik Aadhikarita Shivir scheme. This is a program that offers special mobility support for those who are disabled. People who have such disabilities will have to watch for how they can apply. This was originated in Gujarat and is expected to work in many other parts of the country. This scheme involves people getting insurance on their rail travel activities when they book tickets directly from the IRCT department. The insurance covers Rs. 10 lakh in damages if they do occur. The maximum pension payment involved with getting the scheme running is 92 paise, thus allowing this to become accessible to a larger variety of people. Smart Ganga City has support for managing waste properly. The scheme is organized to improve upon how waste is handled in many rural areas. This is also to help with improving upon how sewage is handled and that it will be properly disposed of without problems, thus keeping the country clean. The state of Telangana has implemented a scheme that helps with improving upon water conditions and with getting more people to have access to water. About Rs. 4000 crore is being used to support the scheme. The goal is to get more pipes laid out around the state to help with getting more clean water out to a vast number of spot around the state. The scheme is made to help students get their IITs in India. This is especially to help students who might not have the money to get into some of these programs. This helps students with covering many of the fees and costs associated with getting into a program within the country. Loans are offered by the banks with zero interest rates added to them. The Swayam Prabha is organized to help promoted educational opportunities around India. It includes 32 channels on DTH television services that are focused on educational programming for people around the country. This is an educational initiative designed to help students with managing a number of learning functions and to get them exposed to more content. This is an upcoming scheme made to help manage the highways around the country. About Rs. 2,000 crore has been added into the scheme to ensure that it is operational and functional. It helps to maintain roads and improve their controls and control features, thus potentially reducing the number of wrecks that may occur around the country. The Shala Ashmita Yojana links students’ Aadhaar numbers to their school accounts. It helps teachers to identify students that need added help with moving forward with their studies. In addition to getting students out to schools, it also helps with improving upon how well students can be monitored and approved for many courses. The Pradhan Mantri Gram Parivahan Yojana will work by offering passenger vehicles at lower rates to the public. This is designed as a means of supporting those in rural parts of the country. This may also help with improving upon how well different types of programs can be used in any case. The National Health Protection Scheme offers health insurance to those who are below the poverty level. It includes coverage of Rs. 1 lakh. It provides beneficiaries with support for a number of medical services. It is unclear as to when the scheme will be fully implemented for the nation’s poor. This scheme provides small lamps to students. These help them with reading and doing their homework in their homes. The lamps are operated by solar power so there are no needs for any additional power materials to make it work. This is especially for students who are under the poverty level. The central government will use this scheme to improve upon the cultural heritage of the country and to attract people from outside the country to visit. It helps with developing the culture in the country and to benefit how well they are able to promote themselves in many ways. This will be offered to all regions of India. UDAN helps people from all walks of life to afford air travel services. People can book tickets through civil air services for Rs. 2500 or less. This helps to provide help for all sorts of people who need assistance with their travel needs. This also improves upon how well people can get to more parts of India including some of the more far-off regions. The Digital Villages plan will work in about a hundred villages. This includes support for getting online signals and connections into different parts of the country. It is made with health and education points in mind. The goal is to get more people in some of the poorest and more remote parts of India to get access to the same tech features that others around the country have. Urja Ganga was introduced to get more gas power out to rural parts of India. This includes assistance through about 1500 km of pipelines to help with providing clean gas that may be used for cooking purposes. The gas pipelines are expected to be fully modern and will not be at risk of cracking or wearing out in any case. The Saur Sujala Yojana provides 5PH and 3PH pumps to farms in Chhattisgarh. These are solar-powered pumps that assist in producing power for many farm operations. The pumps are to be offered in rural parts of the state and are expected to assist in building local economies through the growth of farms. Introduced in late October 2016, this is a new scheme that helps with allowing languages and cultures to be passed down to different generations. It focuses on improving upon cultural relations within the country and getting people to support a variety of educational plans and services. School students will especially support the production and promotion of the scheme. The GUTS program helps to keep fossil fuel emissions in urban regions from being prominent. It focuses on the use of green fuels. These cleaner-burning options are expected to help with reducing the amount of pollution that may be produced in the air. This scheme will be supported with about Rs. 25,000 crore being offered by the central government. The most prominent scheme that has been passed by the government in recent time involves the removal of Rs. 500 and Rs. 1000 notes. This was used as a means of preventing problems relating to black money around the country. This is also to help with encouraging the digitalization of the national economy. Passed in November, this scheme will involve the national government helping with getting more economic and technical support features up and running. This includes help from various governmental departments for handling the financial burdens with study. This is to increase participation in educational activities around India. New government testing centers for vehicles will be established through the Bharat National Car Assessment Program. This will review how well cars are made and how they are operating so emissions will be reduced over time. The overall goal includes looking at how cars evolve over time and ensuring that those that start to let off more emissions are taken off the road and fixed as soon as possible. The Affordable Medicines and Reliable Implants for Treatment scheme helps to review people who are suffering from significant health issues. It provides access to medicines to help treat many problems that residents around India may develop. It will work through about 300 drug stores that have opened around the country. This next scheme is designed to encourage residents and businesses alike to use digital and cashless transactions. This will review how people utilize such transactions and may provide refunds to people who use them. This move comes as the government is aiming to help with getting more digital transactions operational to reduce the potential for corruption in the economy. The cashless economy is being supported with this particular scheme in mind. Merchants and customers alike can make cashless transactions through the support offered within the scheme. The goal is to establish a better real-time plan for managing many functions relating to taking in simple and easy to handle digital payments. The BHIM App will work to help businesses and people with managing their money. This links people to their banking accounts so they can quickly get money transferred from one place to the next. It helps people with getting more out of how they are managing money without using physical cash that might be corrupt. Released in December 2016, the DigiDhan Mela scheme will help improve upon how electronic payment methods can be handled. The Ministry of Electronics and Information Technology will help with improving upon how people identify the scheme make it fully operational. The goal is to keep liquid currency from being more of a concern as monetary rates and inflation are kept in check. The National Tribal Carnival 2016 scheme was passed to support tribal residents in rural parts of India. It offers developmental plans for tribes and support for getting more of their products and goods to urban regions of India. Much of the program was made to help rural regions with improving upon their economies and how they are able to earn money. This next scheme is for people who are looking to head into other countries to find jobs. It offers support for training and for supporting international standards. The educational support will help people to find jobs in many other countries. The efforts help for encouraging people to take in a variety of positions in different fields of value to them. The PMRPY scheme gives employers incentives for hiring more workers. It will provide employers with the ability to hire others and to offer an 8.33 percent basis salary cover through the government. The government will take care of this function and not the government like what was handled well in the past. This is to help those who get monthly salaries of Rs. 15,000 the most. Villages are supported with the Pradhan Mantri Gramin Digital Saksharta Abhiyan scheme. It will provide nearly 6 crore houses in villages with education and support for technology items. It promotes the digitalization of more spots in the country and encourages the use of added technology to help people with staying online and active. A new scheme that was launched in January, the program will help with managing interest rates that are normal subject to significant changes in the market. This is especially critical for seniors who require stable interest rates for their pension investments. All those 60 years of age and older will get an interest rate of 8 percent. This rate will be fixed for a total of ten years for each person who benefits. This is to be implemented in about 650 districts for the benefit of women all around these areas. It focuses on improving the economic statures of those women who qualify for it. All pregnant women who qualify will receive a single payment of Rs. 6,000. Food and vaccination support is also provided to ensure that the mother and unborn child will be fully protected and safe from significant physical risks. A universal income scheme will be introduced in the near future. It would provide a minimum wage to people who are under the poverty line. It helps to get people to get jobs and to become more work in a number of ways. Future details on what the scheme will do to make it efficient and helpful will be revealed at a future time period. 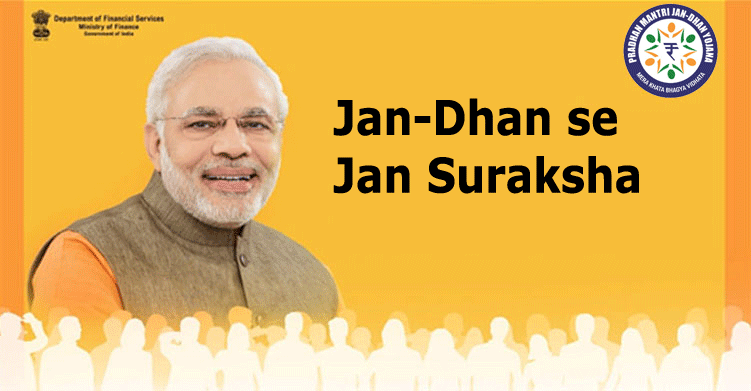 This is a scheme which works alongside the PMJDY and provides an added financial benefit to those who qualify. It offers a special insurance policy where a person can get Rs. 2 lakh on a term that lasts for three years. This is offered to all people with no extra costs involved to take advantage of it. This next scheme is for the benefit of women looking to find strong jobs. The government will assist women with job training in a variety of key fields. Financial support will be offered through help with affording expenses associated with managing a business and also help with getting into schools to attain critical skills. In Interim budget 2019, the Pradhan Mantri Shram Yogi Maandhan pension Yojana has been announced. Every month, the government has promised to give three thousand rupees to the workers belonging to the unorganized sector after they attain the age of 60. For the same, the beneficiaries have to pay a premium amount on a monthly basis till they reach the age of 60. The main aim of the Pradhan Mantri Kisan Nidhi Samman Yojana is to empower the poor farmers and make them economically stable. According to the rules of this scheme, both small and weak farmers will get 6,000 rupees from the government. The money will be directly credited in the linked account of the farmers. But the amount will be given in three separate installments. The planning for the effective implementation of the scheme has already begun, and it is expected to be in action recently. Above all, it is really important for these entire schemes to be implemented and run well in order to get to the vision through which these schemes have been launched. Only when we could see the success coming out of these campaigns and initiatives would be the time when we can say that we have seen a positive change in the governance. what is new health scheme? do you mean Ayushman Bharat Yojana? One thing that all temples has to be freed from the shekels of Govt.They must freed. They must be made to elect committee members once in three year and should be made to feed freely to the devotees either Breakfast or lunch.This should made fundamental duty They have use the resources received by public judiciously with the help if committee.. The VHP has to be a activated to do all these rules. Govt. Should not take the HUNDI AMOUNT. you can read this article :- Details About Mudra Loan. where should i complain for 6000 Rupees Matritra Vandan Yojana (MP Martu Vandan Yojana ) ?